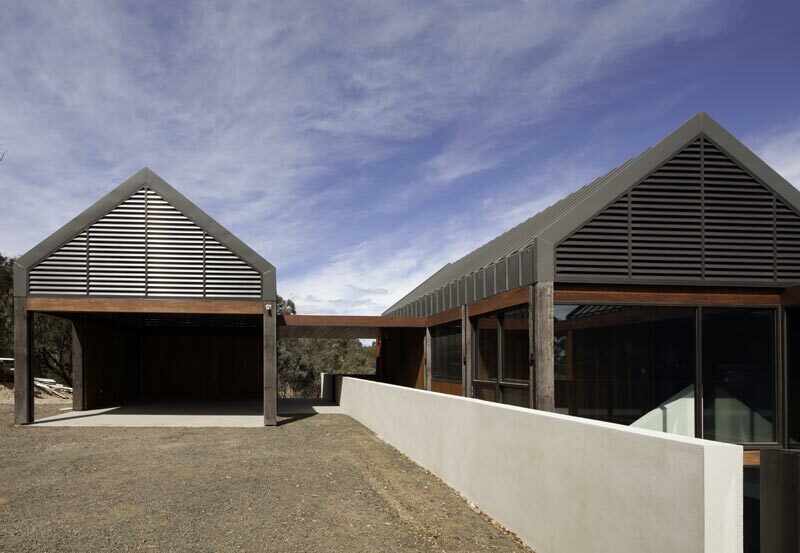 The approach to the Tallarook house is via a meandering drive that slowly reveals a series of gabled roof tops. 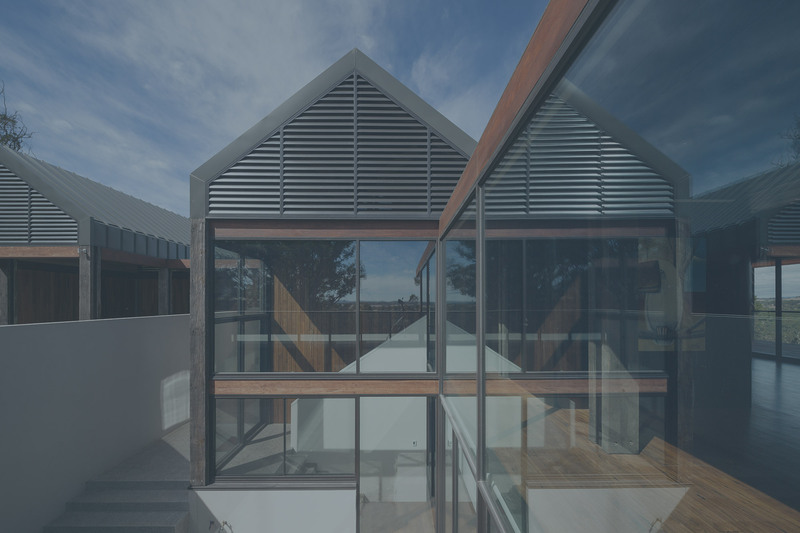 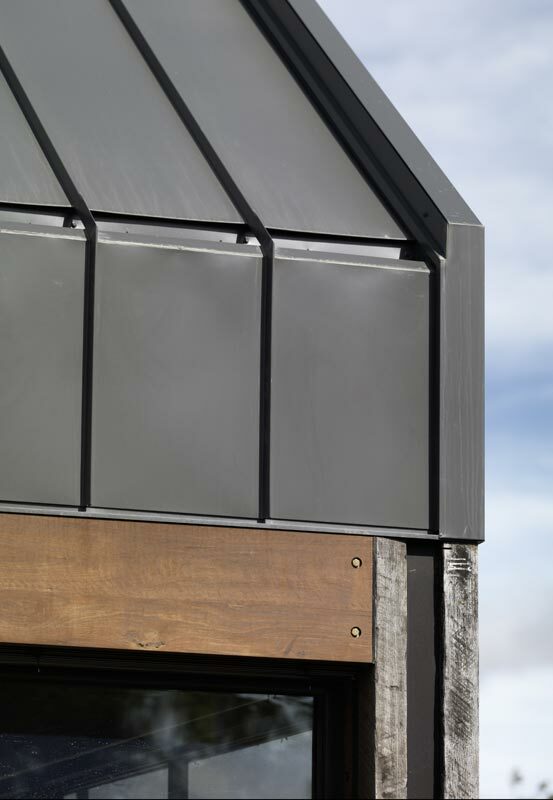 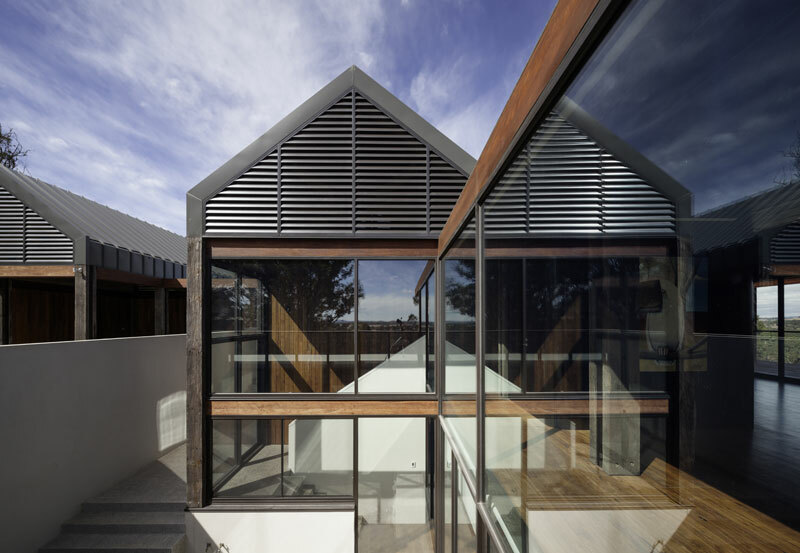 The gabled roof forms crown linear pavilions and create a horizontal datum. 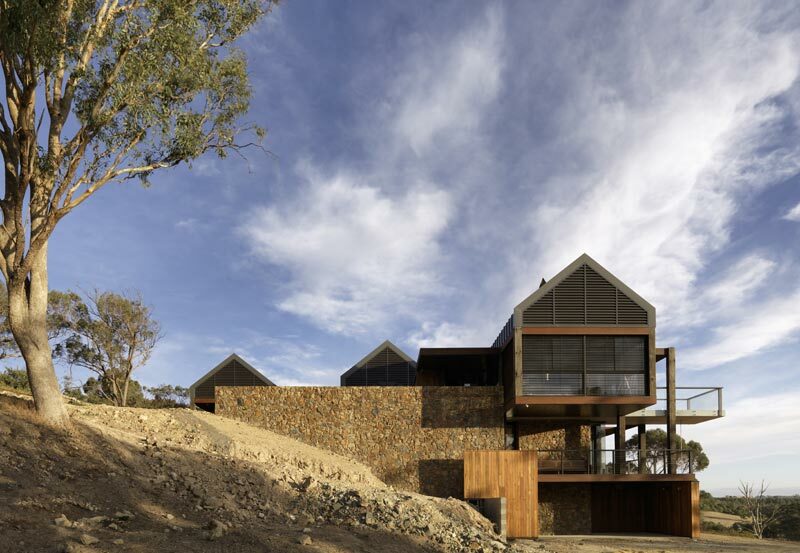 Below this datum the linear pavilions stretch across the site in order to maximize the views. 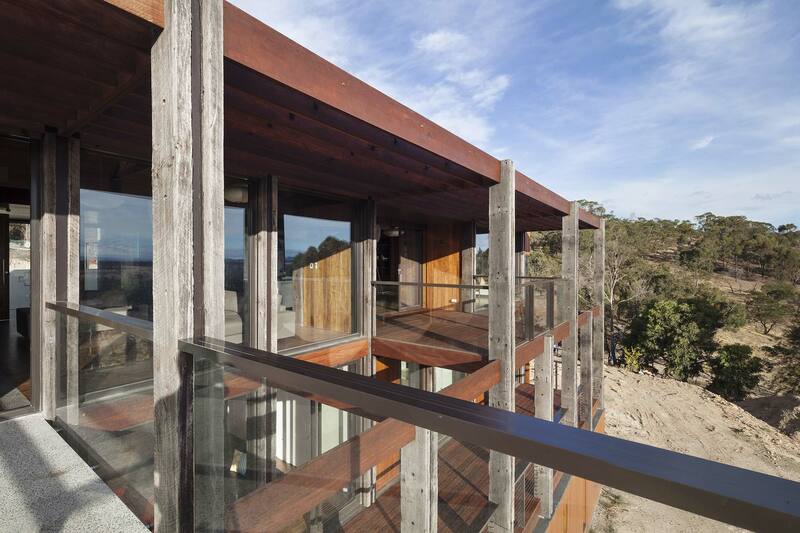 Entry into the house is via a grand concrete bridge that dissect the house and cantilevers toward the view. 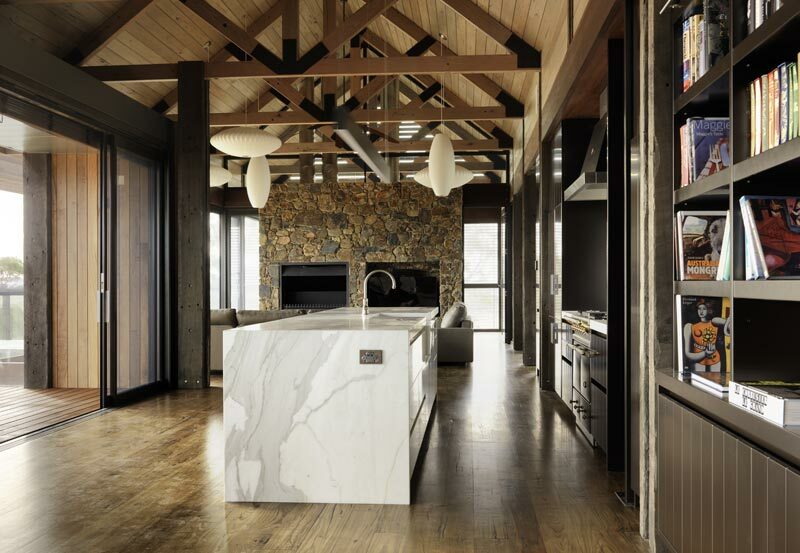 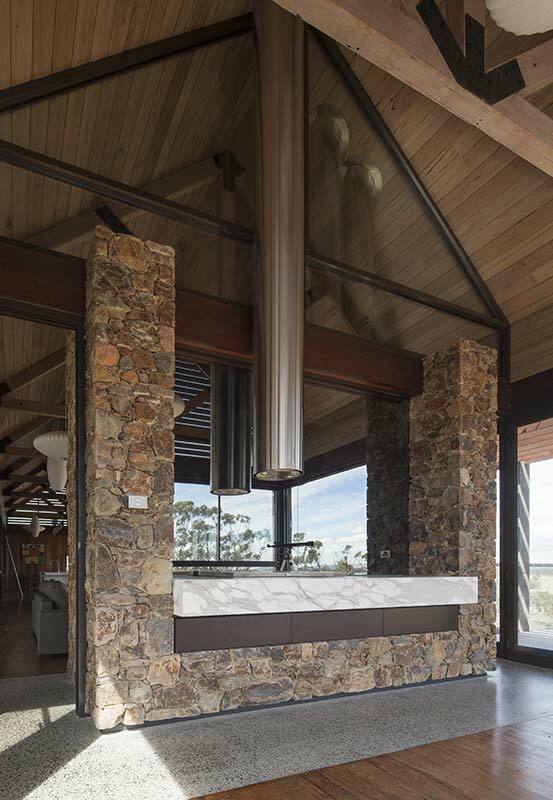 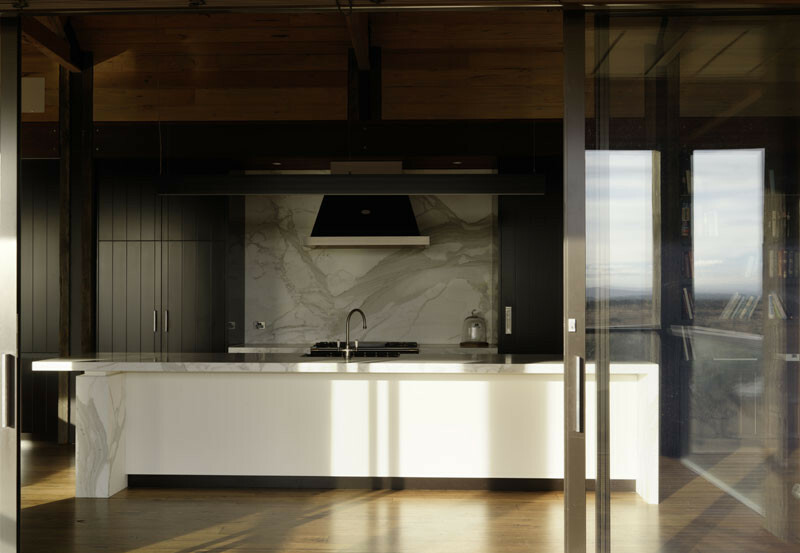 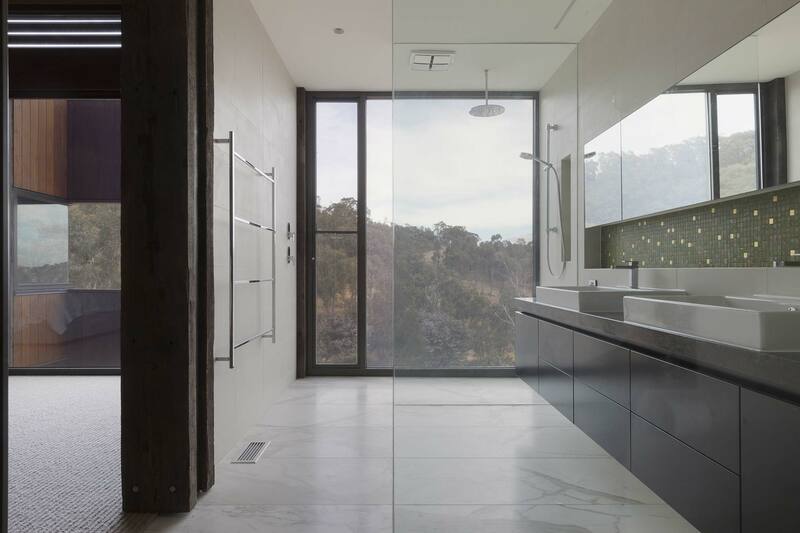 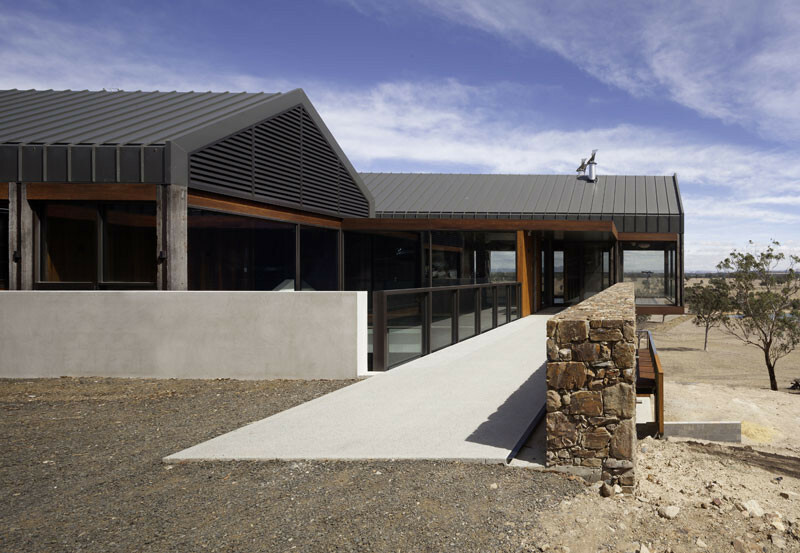 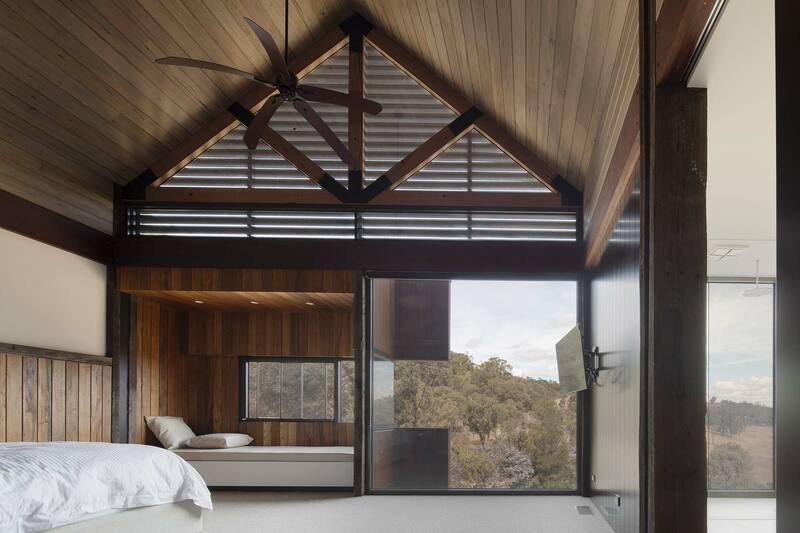 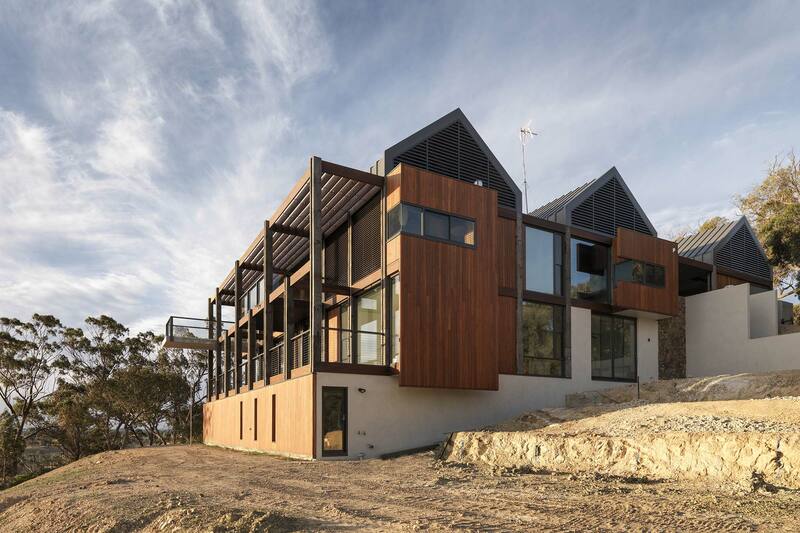 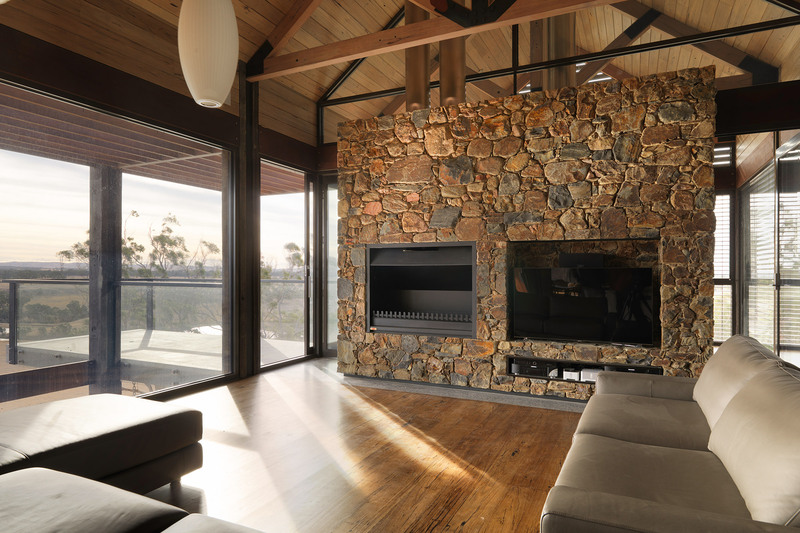 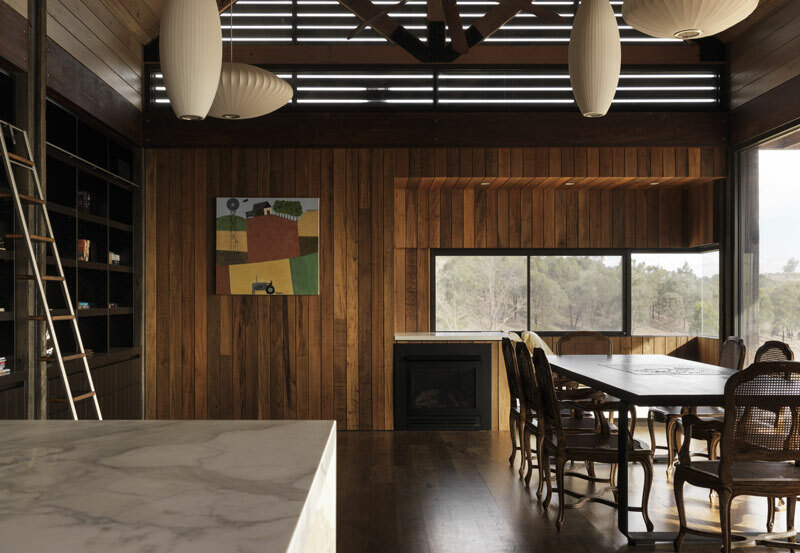 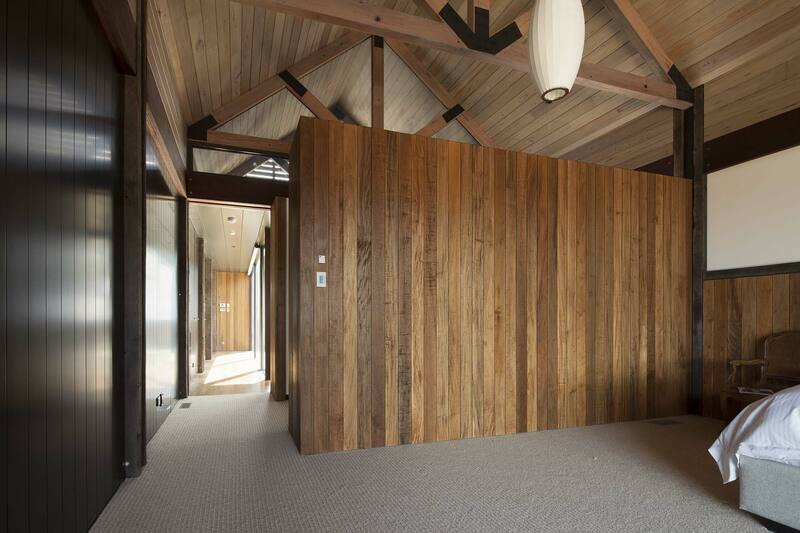 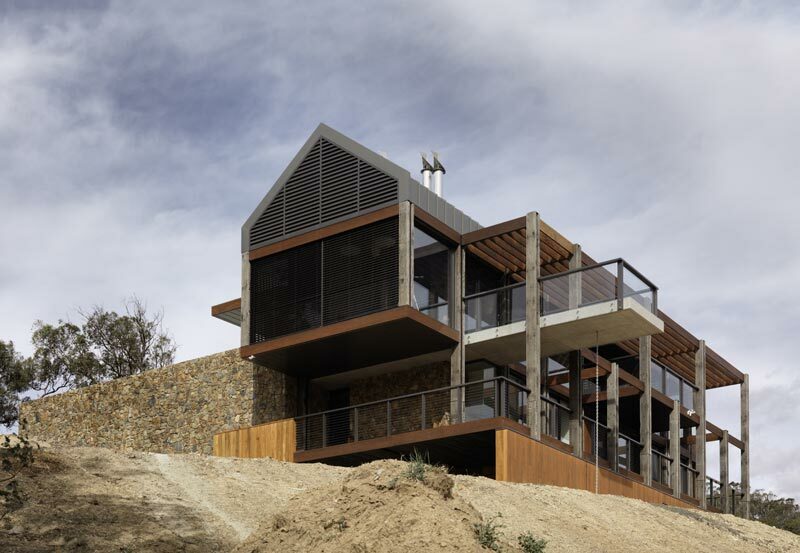 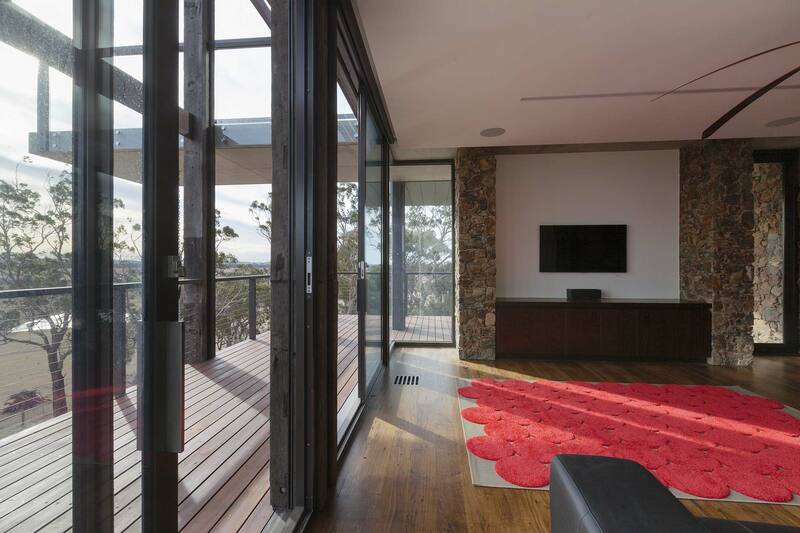 Recycled and salvaged timber is a feature of the Tallarook house. 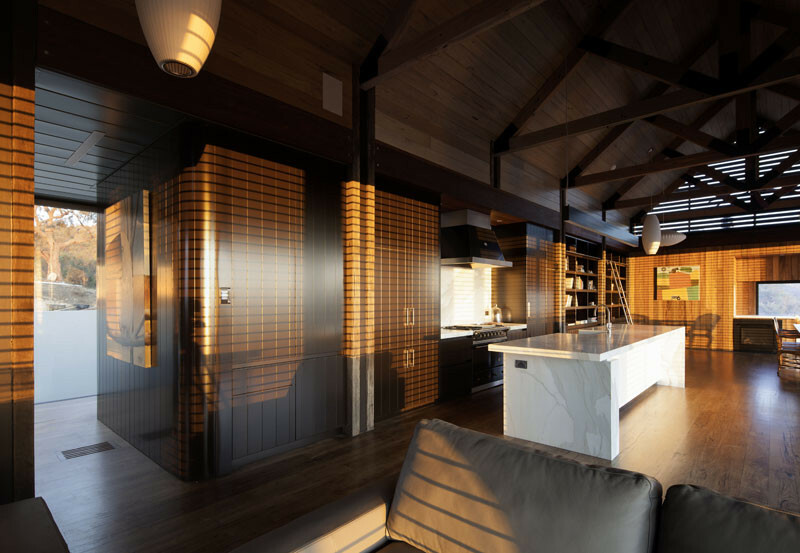 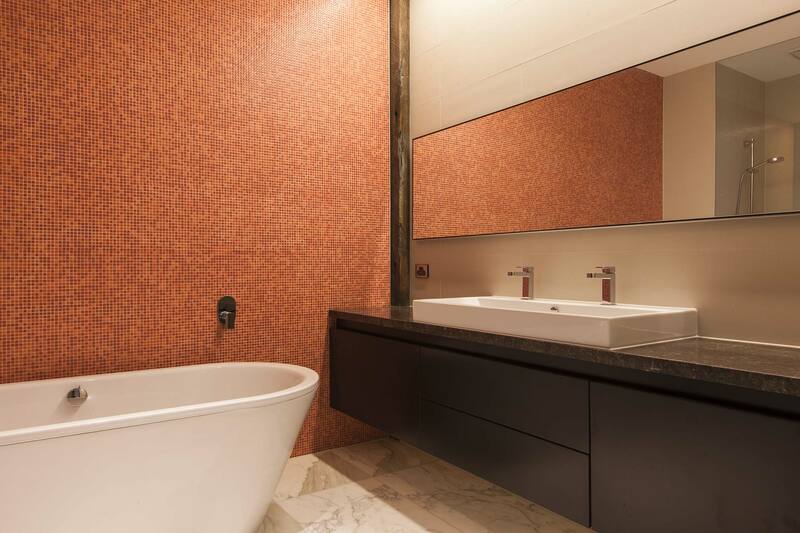 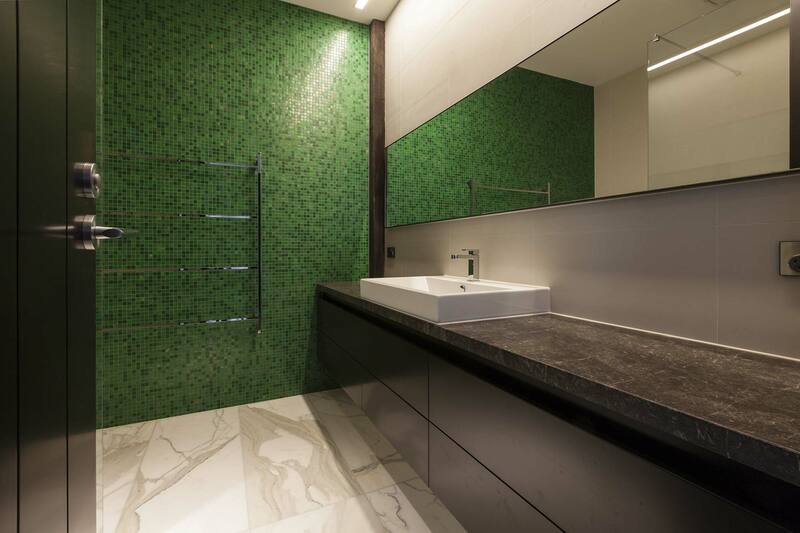 Most of the timber was salvaged from the restored Princess Pier in Port Melbourne.